For a while now, “content marketing” has been almost synonymous with “blogging.” When I got HubSpot certified back in 2013, the inbound marketing program recommended creating no fewer than two blog posts per week. “Consistency” was the word that marketers heard time and time again; content marketing was a treadmill that you could never get off. That blogging treadmill philosophy has had the content marketing community by the throat for almost a decade, but it’s starting to lose its grip. More and more companies are investing time into building evergreen resource libraries—content that’s written to be just as valuable two years from now as it is when you hit “Publish” today. Blue Bottle Coffee sets a good example of how this can done. Blue Bottle Coffee is an extremely popular coffee subscription service. They sell coffee, brewing equipment, and of course some coffee-themed swag. According to SimilarWeb, about a quarter of their website traffic is direct, and almost 60% of it comes from organic search. According to Ahrefs, that’s just shy of 130,000 visits from organic search per month, total. And about a third of that traffic comes from just 13 pages on their website: their Brew Guides. Let’s take a look at how these Brew Guides are driving all that traffic—and what you can learn from Blue Bottle Coffee’s approach. In addition to a semi-regular blog, Blue Bottle Coffee is building a library of guides for coffee preparation. 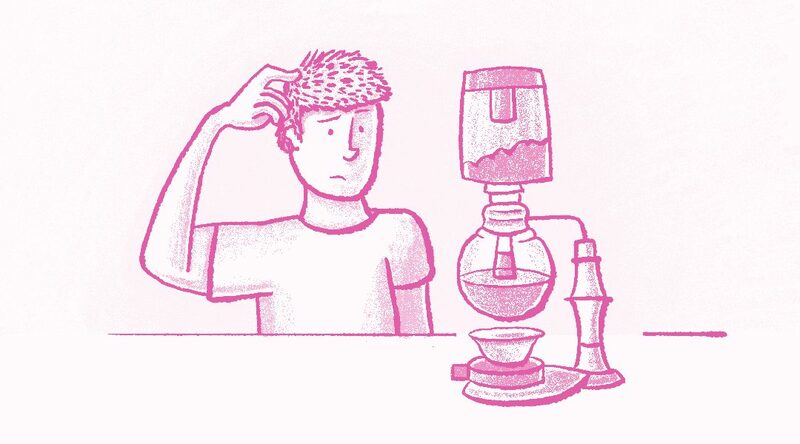 It’s a small collection of tutorials for making the perfect cup of coffee using various brewing methods—from the tried-and-true coffee maker to the mad scientist’s siphon. These guides court backlinks, too. Not only do sites like Wirecutter and Dripped Coffee link to their guides, but they’ve even earned nods from publications that make passing mentions of these brewing methods. 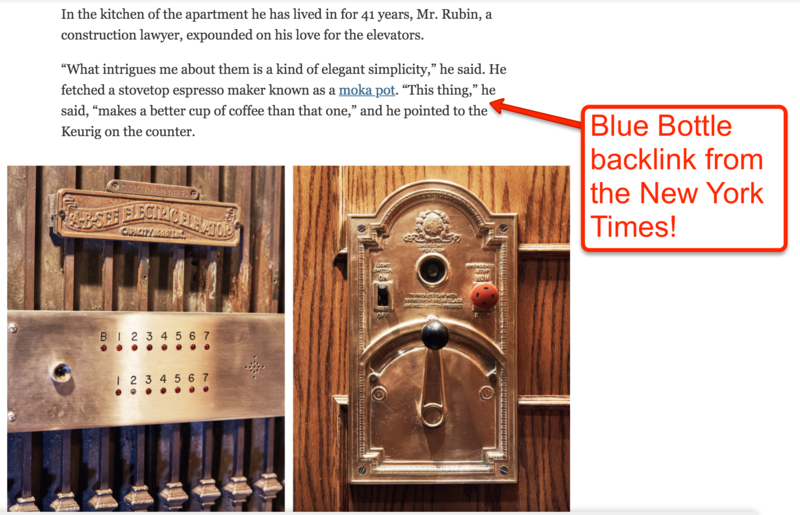 Case in point: Blue Bottle’s Moka pot guide earned a backlink from a New York Times article about manual elevators. Why? Because one person they interviewed uses a Moka pot. Bottom line: The guides themselves are things of beauty. They’re simple, straightforward recipes for brewing coffee yourself—which is exactly what Blue Bottle Coffee helps people do. Blue Bottle keeps a running blog elsewhere on their site, but it’s not pulling in nearly the amount of search traffic that the brew guides do. In fact, the guides get more than five times the organic search traffic that the blog does! Thirteen pages, most of them under five hundred words long. That doesn’t sound like a recipe for organic search traffic—you’ve probably heard that long-form content tends to be more competitive when it comes to non-branded, non-product search. (If you haven’t seen Ryan Nelson’s guide to just how long a blog post should be, you should.) While a little more content couldn’t hurt Blue Bottle (more on that later), their short-form guides can teach us something important about how to think about search today. The short guides pull in that organic traffic because they are, on the whole, what people are searching for. 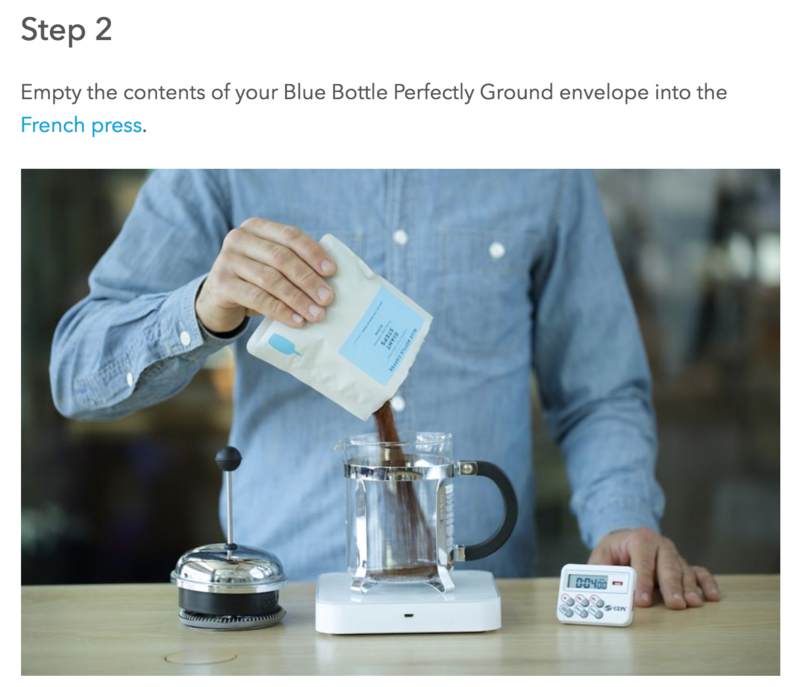 When people want to know how to make coffee with a Chemex or Aeropress, the Blue Bottle guides give them the main things they need: a list of equipment and ingredients and a set of simple instructions. They’re instructive, broken into steps, and have brilliant images. It’s a great experience for readers. Blue Bottle’s guides provide a good lesson in approaching content methodically: if you have a piece of content that does well, it’s an indicator that you can apply its format to sibling concepts. 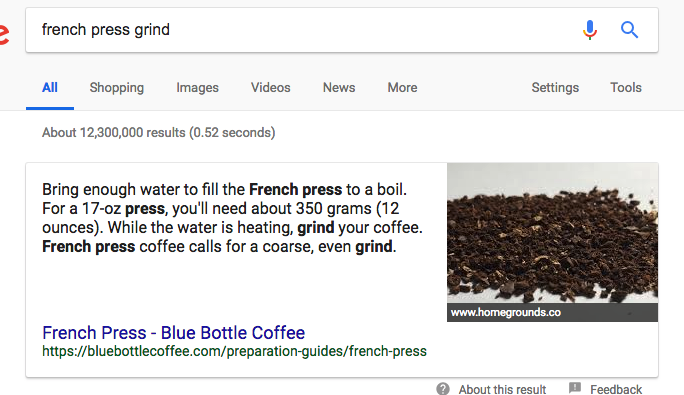 Blue Bottle did that here—they made a few brew guides that already perform well in organic search. Now they know how to get more traffic: make more coffee preparation guides! This is the biggest area where Blue Bottle could stand to improve. While Blue Bottle is getting organic traffic for big, top-of-funnel search terms, they’re not exactly dominating the SERPs. Most of these guides rank in the middle of the first SERPs, but not so much up top. Add video demonstrations to their guides, walking people through the steps and showing them how a properly-made cup of coffee comes together. Use illustrations to show how coffee brewing equipment works. A cross-section of each brewing aparatus detailing their different parts and functions would be wildly helpful. Answer FAQs that people commonly find themselves asking when trying to brew coffee. For example, it’s common for silt to accumulate at the bottom of a French Press—but people who don’t know that might worry that they’ve followed the instructions wrong! If you browse through these brew guides, you’ll find that they’re not commercials for Blue Bottle’s coffee or equipment. These guides are completely focused on helping the reader make a terrific mug of coffee. If Blue Bottle offers a paid product that can make the process easier, they make it known. For some of these recipes, Blue Bottle’s already-ground coffee will do the trick—and the simplified recipes are available on the page as secondary content. Their French Press guide is a good example of this. Bottom line: Blue Bottle surfaces their products where it might make the reader’s job easier—but doesn’t turn every guide into a sales pitch. Blogging is a fantastic way to publish content that ranks—but don’t turn it into a useless treadmill. If you know the problems that you can help your market solve, publish a library of relevant, evergreen content for them. No need to structure it around a linear editorial calendar—just make that killer corpus and bring it to life! I loved this case study. Great visuals + intriguing ideas on how to break common SEO rules, but still succeed organically. Thanks for sharing.